HARRISBURG, Pennsylvania (Jan. 12, 2017) — United Concordia Dental, a dental solutions company focused on wellness, has appointed Quinn Dufurrena, D.D.S., J.D., as its new chief dental officer. Dr. Dufurrena joins United Concordia to solidify the strength of its leadership team as Dr. James Bramson, D.D.S., chief dental officer, plans to retire at the end of 2017. In his new role, Dr. Dufurrena assumes responsibility for the company’s professional affairs, dental directors and dental policy, while Dr. Bramson focuses on United Concordia’s medical-dental integration strategy. Prior to joining United Concordia, Dr. Dufurrena was president and chief executive officer at Avitus Dental Management Solutions, where he delivered strategic planning, marketing and management consulting services to independent dental practices. 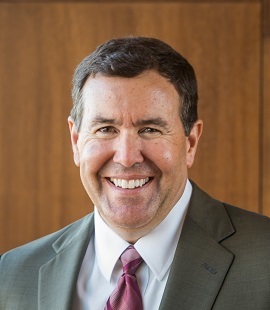 He also served in key executive roles for national and state dental trade organizations, and as a Hillenbrand Fellow at the American Dental Association. Dr. Dufurrena holds a bachelor of science in General Science from the University of Nevada, Reno; a doctor of dental surgery from the University of the Pacific; and a Juris Doctor from Concord Law School. “I am honored to have been selected and look forward to working with United Concordia to deliver dental solutions in a changing industry and to uncover additional ways oral health can have an impact on the entire body,” said Dr. Dufurrena. Dr. Dufurrena will be based in Harrisburg, Pennsylvania, at the company’s headquarters. For more information on United Concordia, visit UnitedConcordia.com.